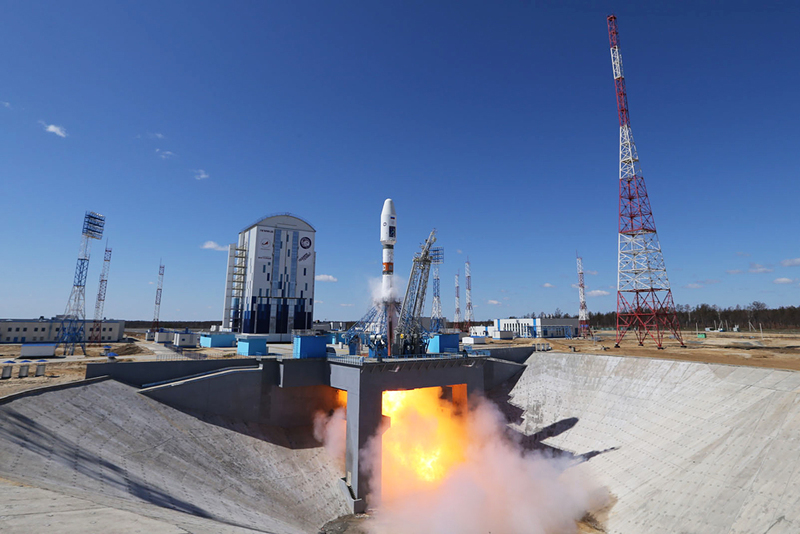 The launch of the Soyuz-2.1a carrier rocket with the three Russian satellites – Lomonosov, Aist-2D and SamSat-218 at the Vostochny Cosmodrome. Russia’s Investigative Committee has launched a criminal investigation into the embezzlement of over 70 million rubles ($1 million) allocated for constructing an administrative complex at the Vostochny Cosmodrome, spokesperson Svetlana Petrenko told TASS. The criminal case into fraud has been opened against Director General of the MIKOS company Sergey Ostrovsky and other unidentified members of a criminal group, Petrenko said. Some 143 million rubles were allocated in 2013 for the construction of the complex that includes a hotel, an engineering building and a foodservice center. The works were implemented by the spaceport’s general designer Ipromashprom and the MIKOS company was a subcontractor. "Ostrovsky knew that MIKOS had no needed technical resources and staff but he used his connections and acquaintances to conclude an agreement with his company by deceit," the spokesperson said. He later signed counterfeit acceptance certificates of design documentation and received 70 mln rubles in January 2014. An investigation is also conducted to identify Ostrovsky’s accomplices in the Roscosmos state space corporation, the Direction of Vostochny Cosmodrome and Ipromashprom. Ostrovsky was earlier found guilty of committing a similar crime, namely embezzling funds allocated for carrying out design engineering of the Vostochny Cosmodrome.